Bridie Gallagher, "The Girl from Donegal", was Ireland's first female superstar. She was born in Ards, Ceesslough, Co Donegal, Ireland, the second youngest of a family of ten. She had her first hit in 1956 with "A Mother's Love is a Blessing" and in July 1957 "The Boys from the County Armagh" went to No. 1 in Ireland and launched her onto the world stage. 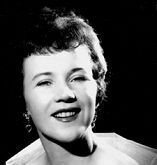 Throughout the 50s & 60s Bridie packed out major concert halls throughout The World, like The Royal Albert Hall, London (with a record 7,500 audience), Carnegie Hall, New York and Sydney Opera House. Her record sales earned her numerous Gold Discs. She has lived most of her life in Belfast, Northern Ireland. Doe Cemetery in her native area became her last resting place. This was an area she made famous with her singing of the song “They’re cutting the corn in Creeslough today”. Rory.toured extensively, sold 30 million records and established a worldwide following of loyal fans. He fell seriously ill late in 1994 and died in London at the early age of 47, on the 14th June 1995 from complications following a liver transplant. "The first Irish rock'n'roller and a unique blues guitar voice rolled into one. Missed by everyone" (The Guitar Magazine, August 1995). The Revs were an indie rock band based in Kilcar, Donegal, Ireland. 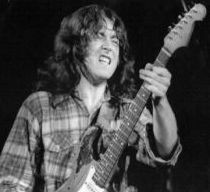 The band consisted of three childhood friends: Rory Gallagher (named after blues guitarist Rory Gallagher) on bass guitar and vocals, John McIntyre (guitar, vocals) and Michael O'Donnell (drums, percussion). They formed on the eve of the millennium with an aim to change the face of Irish music. Note: We would be delighted to receive further information, pictures or other memorabilia concerning the above artists or others not mentioned.